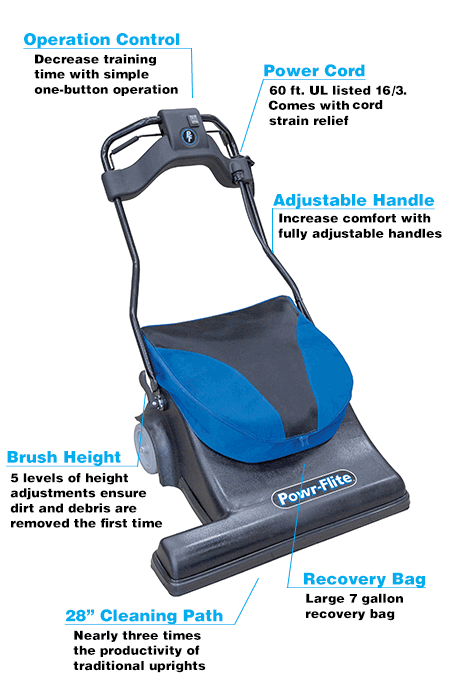 The PF28SV is a powerful sweeper vacuum that is a great option for use on multiple floor types and will pick up larger debris that often clogs traditional vacuum cleaners. The large 3/4 bushel recovery bag and 60' cord allow you to work more and change bags or cord location less. Don't spend a lot of time training operators, the PF28SV's one button operation will get you up and running quickly.